Forwards Dale Weise and Tomas Fleischmann have been traded by the Montreal Canadiens to the Chicago Blackhawks. Forwards Dale Weise and Tomas Fleischmann were traded by the Montreal Canadiens to the Chicago Blackhawks on Friday night. Montreal got forward Phillip Danault and a 2018 second-round draft pick in return. "Phillip Danault is a young and gifted player who will be part of our core group of young forwards for many years to come. I am very pleased to have him join our organization," said Canadiens general manager Marc Bergevin in a statement. "As a member of the Blackhawks management group, I was instrumental in the selection of Phillip in the first round of the 2011 NHL Draft. "Dale Weise and Tomas Fleischmann have both been good contributors to our team and I would like to wish them the best of luck with the Blackhawks' organization." 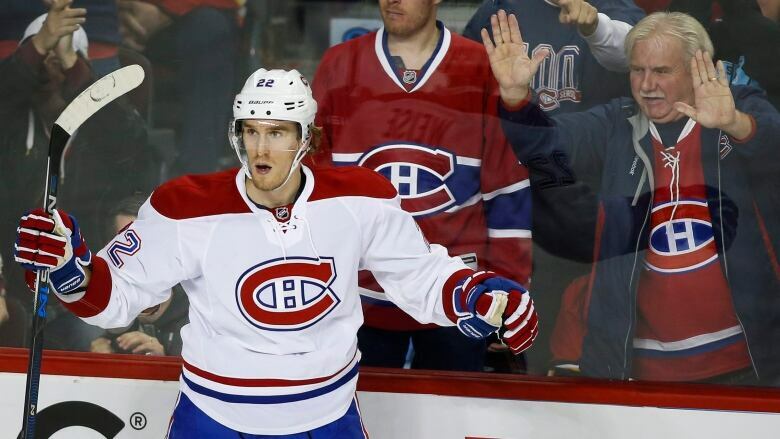 Weise has 14 goals and 12 assists in 56 games with the Canadiens so far this season. He was acquired by the Canadiens from the Vancouver Canucks in return for Raphael Diaz on Feb. 3, 2014. Fleischmann has 10 goals and 10 assists in 57 games Montreal thus far this season. He signed a contract with the Canadiens as a free agent on Oct. 4, 2015. Danault appeared in 32 career games with the Blackhawks, including 30 this season, earning a goal, four assists and six penalty minutes. He had a goal and an assist with four penalty minutes in six games with the American Hockey League's Rockford IceHogs. In 160 career games in the AHL, Danault has 20 goals and 48 assists. A native of Victoriaville, Que., Danault was the Blackhawks second pick in the first round of the 2011 NHL Entry Draft. He had 74 goals and 177 assists in 243 games with the Quebec Major Junior Hockey League's Victoriaville Tigres and Moncton Wildcats. NHL trade deadline: Canadian teams in selling mode?